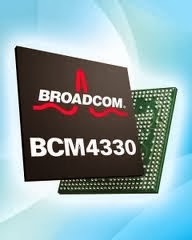 Broadcom BCM-43xx Wireless Lan drivers, Version 6.30.223.143 WHQL. - The new package of drivers for Wi-Fi, the company Broadcom. Drivers are designed to work with chips series BCM43XX standards 802.11 a/b/g/n on supported operating systems Windows XP, Vista, Windows 7/8 - 32/64bit. OS: Windows Windows XP, Vista, Windows 7/8 - 32/64bit.